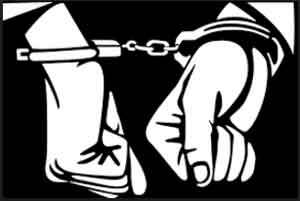 New Delhi: The Central Bureau of Investigation (CBI) on Monday arrested B.K. Basvaraju, the Upward Division Clerk (UDC) of Central Council of Indian Medicine (CCIM) for taking bribes to increase the number of seats of a Maharashtra medical college from 60 to 100. Basvaraju, along with his accomplice, Anjana Kedari Redekar, took bribes around Rs 10 lakh to increase the admission quota of a private college in Maharashtra’s Kolhapur. The CBI, in the connection had conducted searches at various locations in Delhi, Mumbai and Bengaluru. Sources had informed the CBI that in the month of June and July 2018, Basavaraju had informed Redekar that B. R. Ramakrishna, the President of CCIM, which is a part of the AYUSH Ministry and is the regulatory authority in this matter, had shown willingness for recommending the name of the college for issuance of a Letter of Permission to increase the number of seat. Redekar had agreed to pay Rupees 17 lakh to Basavaraju for obtaining the favourable recommendation, out of which Rs 10 lakh were to be paid on Sunday. A case under section 120-8 of the Indian Penal Code (IPC) and section 9 of Prevention of corruption Act, 1988 has been registered against the two and other unknown public servants and private persons.